Salvador Dali | Cinema, etc. I recently saw the news that there will be a special exhibition opening at the Walt Disney Family Museum in San Francisco on 10th July. Running into January 2016, the exhibition will cover the bond between Walt Disney and surrealist painter Salvador Dali, two men whose creative outputs couldn’t seem further from one another, despite the fact they were good friends who remained in close contact throughout their lives. You could take every frame of animation and hang it on your wall. Were you to create a Venn diagram of the creative output of the two artists, the small ellipse in the middle would be represented by the bizarrely brilliant Destino. First conceptualised in 1946, the film was eventually released in 2003 to the general public as an unusual opening short for Calendar Girls. Destino may have been realised and released 57 years after it was started, but it was worth the wait. 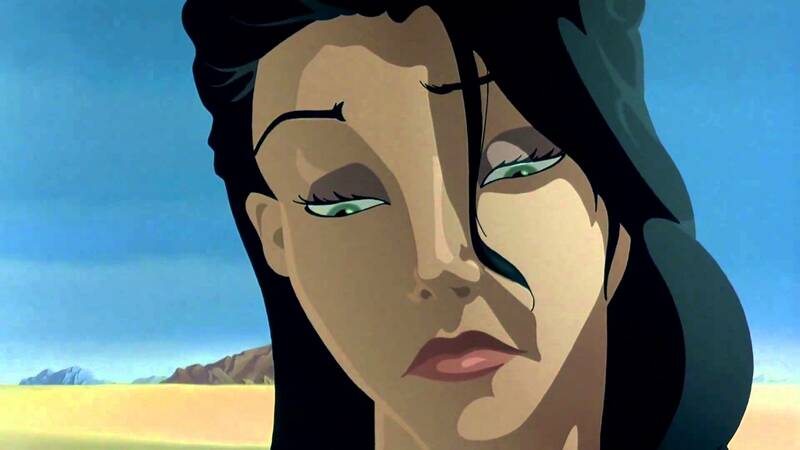 It’s a beautiful, dream-like short that has been lovingly created by a team of Parisian artists based on the original storyboards by Dali and studio artists John Hench. I’ve watched it so many times. I won’t explain the storyline – it’s less than 7 minutes long so you don’t have much to lose. As a resolution snob, the very best way to watch this excellent work of art is to purchase Fantasia 2000 on Blu-ray“>. For some reason the fact it is included on this disc is barely mentioned anywhere other than on the boxart, with Amazon choosing to just describe the somewhat lacklustre film instead. I feel this is an injustice as something as important as this should be brought to the attention of anyone who might be looking. It really ought to show up when you search “Disney Destino” or “Dali Destino”. It’s a no-brainer. It was nominated for an Academy Award for Best Animated Short in 2004, though both this and the extremely memorable Boundin’ from Pixar were beaten by a short called Harvey Krumpet, which you can watch here.